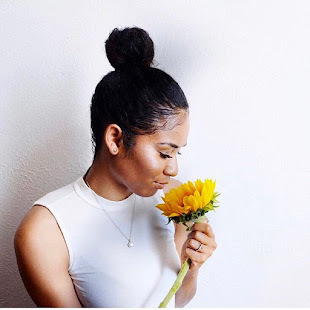 Live Deeply Rooted: A letter to the girl who battled through her insecurities. A letter to the girl who battled through her insecurities. She like many others, struggled with what seemed like an never ending cycle of allowing other people opinions to validate her worth & value. Not fully understanding the effect it had on her confidence or lack thereof. Her insecurities were so much deeper than just her appearance. Her roots were deepened in this reality that she was unworthy. That she wasn’t good enough, smart enough, unloveable, and not worthy of having someone to love. She became so destructive tearing herself apart because she couldn’t seem to grasp the fact that it was perfectly okay ask for help & be vulnerable as she talked about the things she was struggling with. She wrestled with her thoughts that tried to tell her otherwise. If only she could share the pain that came with her depression, the desires to be wanted, her fears, the anxiety, the heartbreak that weighed so heavy on her. If only she had the confidence to fight for the truth that she was buried deep within her. Yet, this pressure grew too intense, this idea that she had to be perfect in an imperfect world, with this ability to have it all together, lacking in nothing. Who was she kidding? She knew she couldn’t live up to these standards, yet she tried her hardest to paint this picture of as if she did. She fought silently, not really knowing how to combat these feelings that made her overthink. Which lead to her believe that she had to fake it until she made it. She tried it for years, with this mentality, yet it was draining. She was tired. Tired & ashamed of feeling this way. She knew she had to take another approach to overcome her insecurities. She knew she needed to seek help even though others saw that as a weakness. She had to do what was best for her and if that meant becoming vulnerable, she knew it must be done. She needed change. She began to see a huge shift in her life when she talked with others about her insecurities that no longer carried shame. Her me too moments she faced, were no longer her own, but shared with a community of women who been through the same things. She saw the beauty in sharing her struggles & the fact that she was able to overcome the fear of having to fit this mold that this world tried to place her in. She began feeding her mind with truth, with love. She recognized the things that didn’t serve her anymore, and began releasing them from herself. She saw the joy in appreciating all that she had & the peace that came with speaking life into her situations. She knew that she would still have her moments & battles, but she knew now that she wasn’t alone. Every morning she would affirm truth within herself: I love myself as I am, I am still learning and working on becoming the woman that God created me to be, I am loved regardless of what others have to say about me. I know my truth & I know that my worth is found in Christ. As she became confident in herself, she carried herself differently as others began to notice. They saw a shift in the way she talked about herself, the way she talked about others, and the way she allowed others to treat her. And that was all she ever wanted--to be seen as someone who wore her confidence not just on the outside, but also rooted deep within. Hi! My name is Sopha Rush. My desire is to share with young women who are striving daily to become more like Christ, encouraging them to pursue God wholeheartedly, in every aspect of their life. When I fell in love with myself. A letter to a Queen.